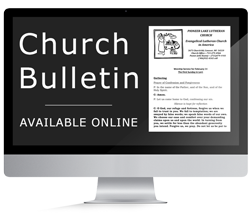 The current edition of our weekly Worship Service Bulletin is available for download. If you prefer, you may have the bulletin e-mailed direct to your inbox each week. – Subscribe Here. Note: All bulletins are in PDF format – if you don’t have Adobe Reader, click on this link to download the current version: Get Adobe Reader.